Between the years of 1971 and 1978, the BBC ran a very popular TV series called A Ghost Story For Christmas. It was an unusual series in as much that it aired only one episode a year. The ghost story offered in 1976 was The Signalman and I am very glad to say that it is now available on DVD. The story begins with a traveller, out walking. When he reaches a railway embankment he looks down and sees a signalman. He is standing—transfixed—looking towards the railway tunnel. “Hello, below there,” the traveller calls down to the signalman and asks if there is a path that he might use to come down and speak with him. The signalman points him in the right direction and the traveller makes his way down, only to find the railway employee seems strangely nervous of him. The signalman has mistaken the traveller for someone else, but once he realizes his mistake the two men strike up a friendship and the signalman invites the traveller into the signal box and makes him a cup of tea. The signalman is obviously an intelligent man and very competent at his job, but he seems strangely haunted. Although he is reluctant to discuss the nature of his problem the signalman agrees that he will explain everything to the traveller if he returns the following evening. However, he is most insistent that his new friend does not call out. The signalman is being haunted by a spectre that calls out to him and rings the little warning bell in his signal box. Once the traveller knows the nature of the signalman’s problem he is sure there is a rational explanation. Then the signalman explains that the spectre’s appearance always precedes a calamity or disaster on the line. 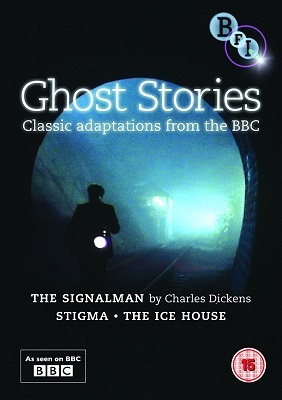 The Signalman is one of my favourite ghost stories. With a runtime of only 40 minutes, it is not a long film, but it is truly chilling and sometimes the best things really do come in small packages. 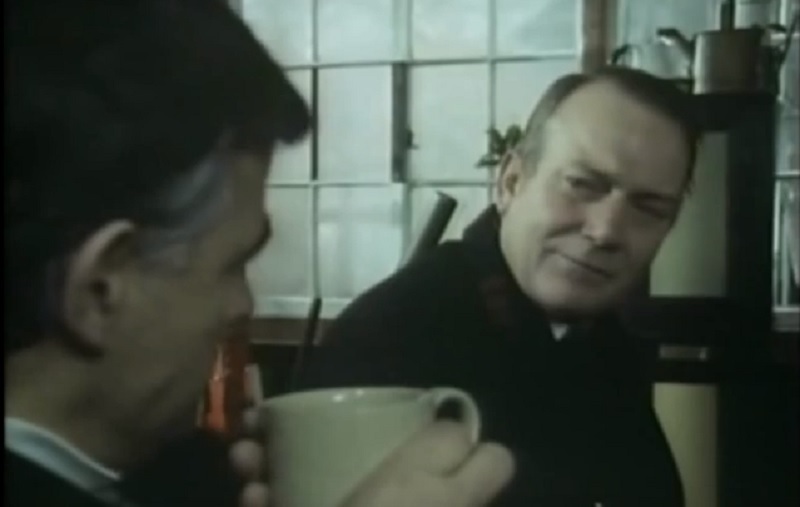 Denholm Elliott provides a sterling performance as the haunted signalman, and Bernard Lloyd is very good as the traveller, who is sympathetic to his new friend’s problem but tries to keep a rational mind and be the voice of reason. There are other characters in the film, but they mainly come into play in the flashback sequences where the signalman narrates the accidents and deaths that have occurred on the line. Then there is the spectre and its appearance is startling enough to send a shiver down the spine of even the most hardened of viewers.